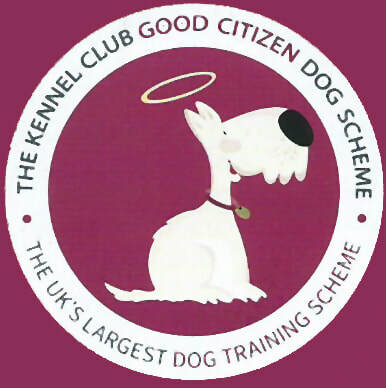 The Good Citizen Dog Scheme is the UK's largest dog training programme, now available also in Malta through the Maltese National Canine Federation. 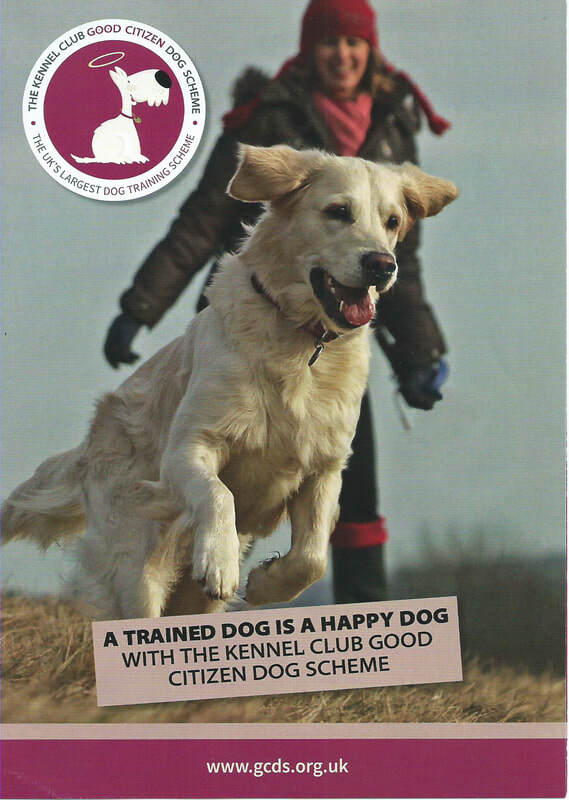 The scheme promotes responsible dog ownership by teaching owners to train their dogs for everyday life situations. 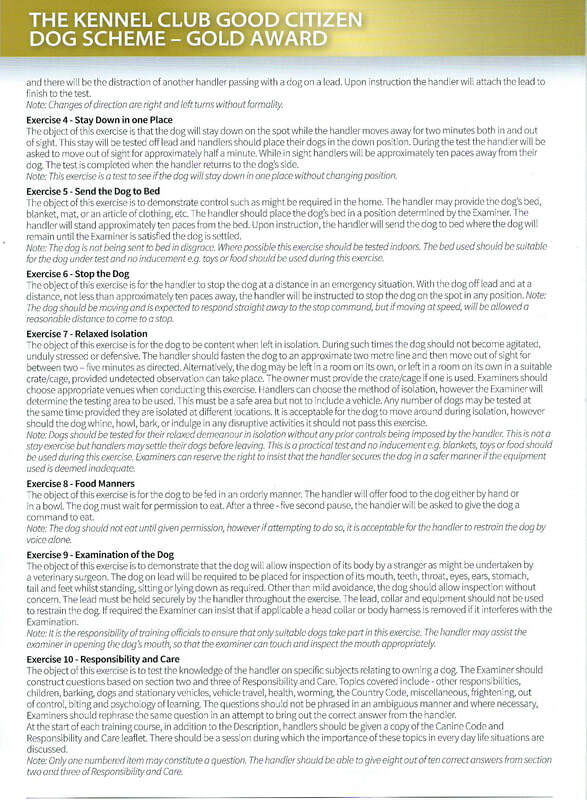 There are four levels, namely Puppy Foundation, Bronze, Silver and Gold, each one developing an owners understanding, while building a dog's confidence and levels of domestic obedience skills. 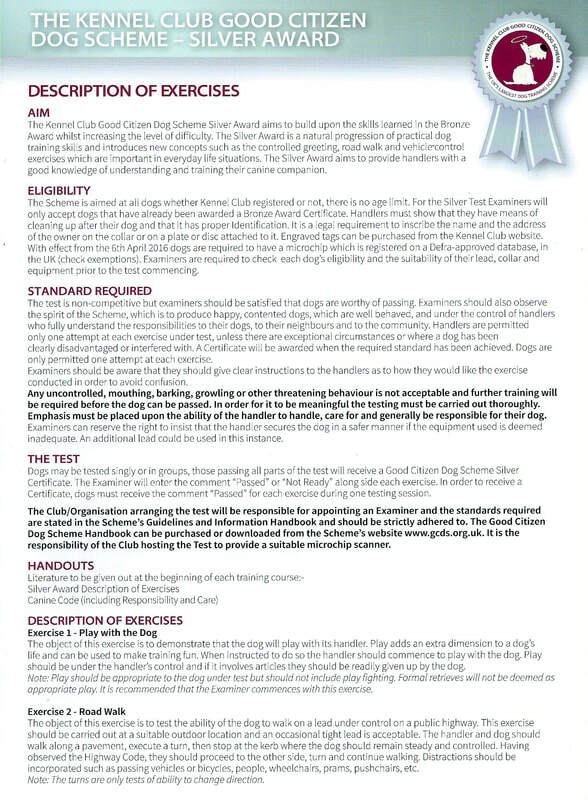 HOW DO I FIND MY LOCAL GOOD CITIZEN DOG TRAINING CLUB? 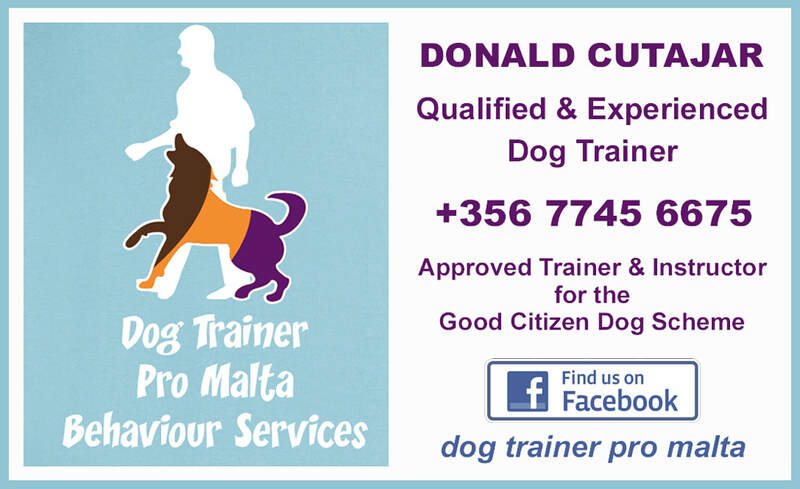 At the moment, there are two clubs licensed by the MNCF to offer these training classes., namely DOG TRAINER PRO MALTA, which is led by the highly qualified and experienced dog trainer and behaviorist, Donald Cutajar. He can be contacted on tel. 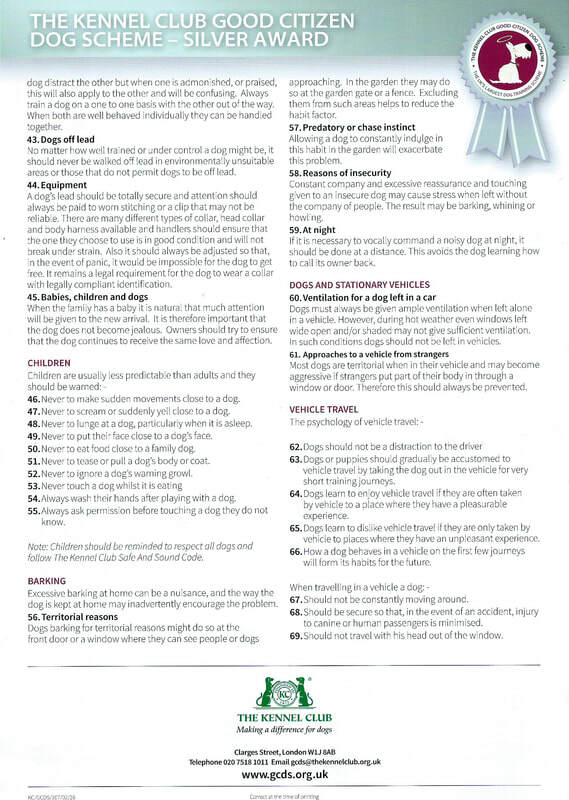 : 7745 6675, and Robert Bugeja, also a qualified Dog Trainer & Behaviourist, which can be contacted on 9986 9530. 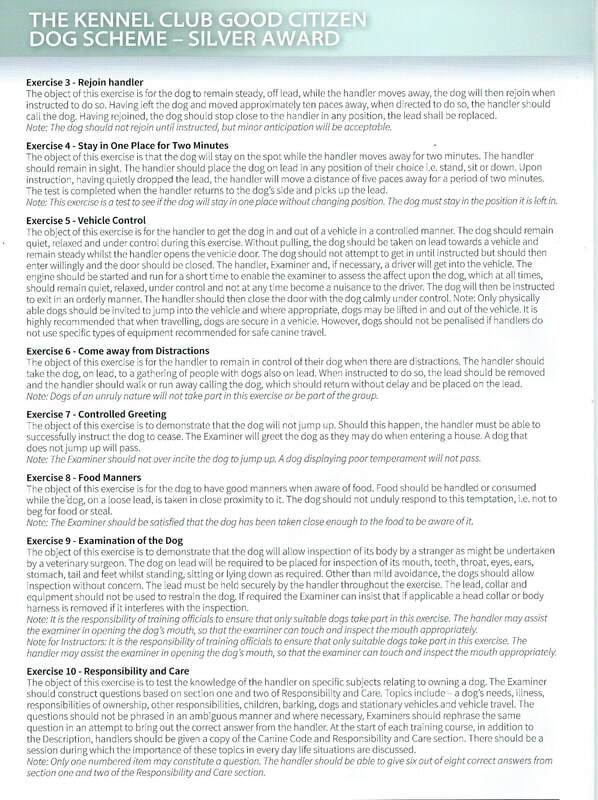 CAN ANY TYPE OF DOG TAKE PART? 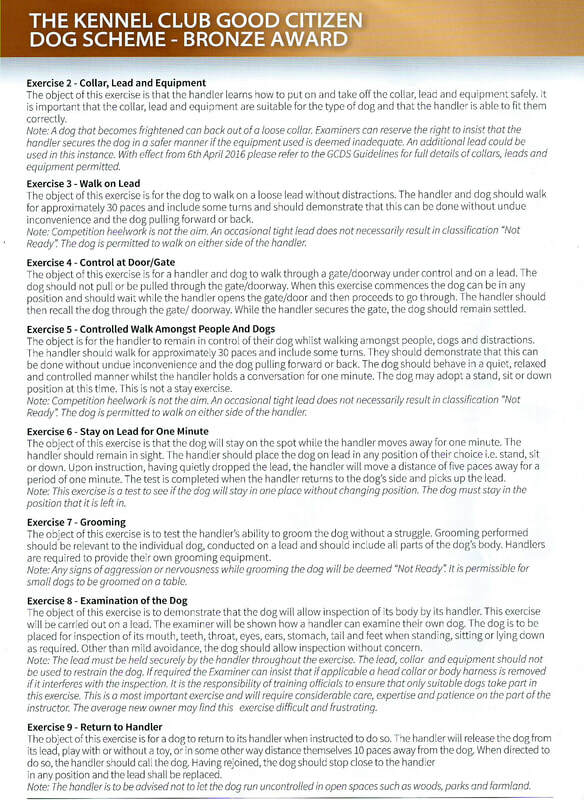 Yes, pedigree or cross breed, young or old, the scheme accepts all dogs and they do not have to be MNCF registered. Any age of dogs is accepted. 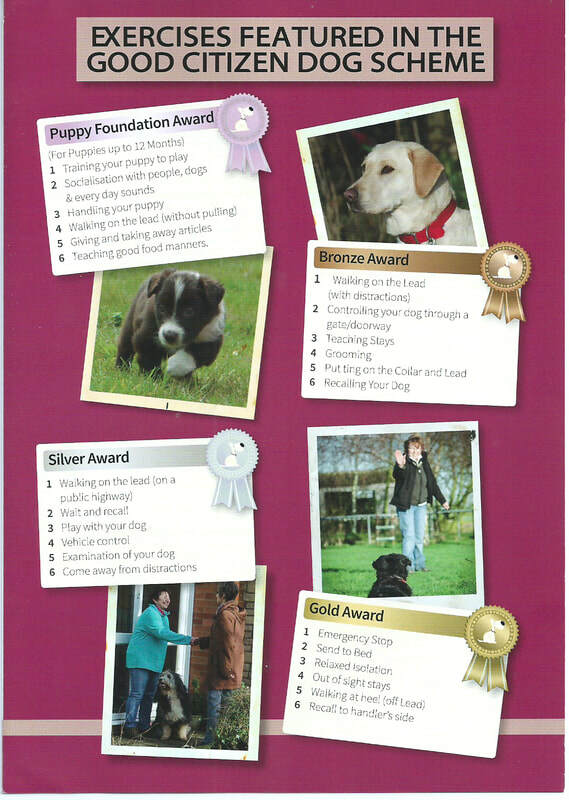 Puppies will be accepted as long as they have completed their vaccination programme. 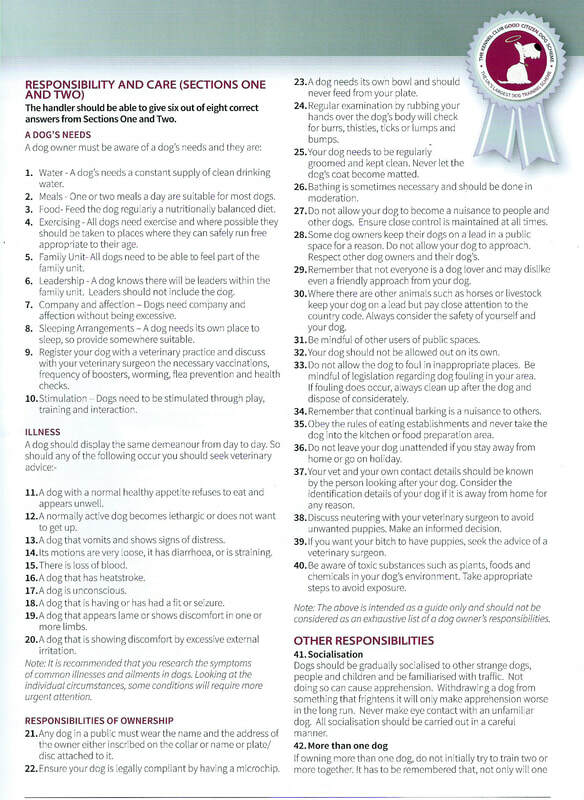 Your dog must wear a collar and lead and have legally compliant identification (microchip). 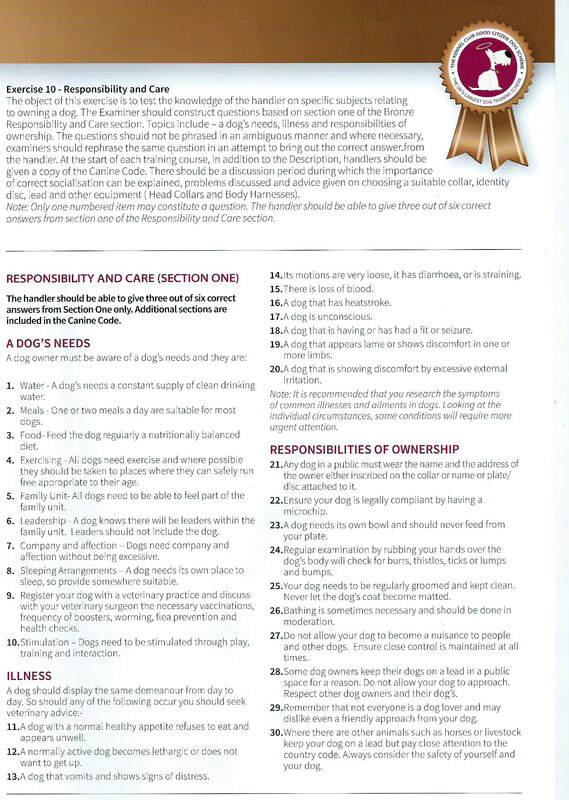 There are other items like a toy, some titbits, a grooming brush, drying towel that you may need but the trainer will advise you about this beforehand. Courses take place for approximately 45 minutes-1 hour, once a week. 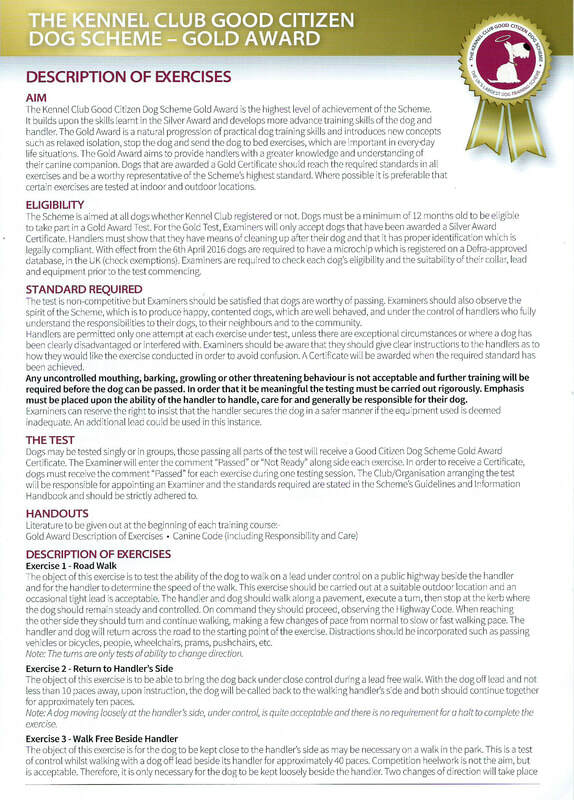 Puppy and Bronze Courses normally take between 6-8 weeks to complete, but these will vary. 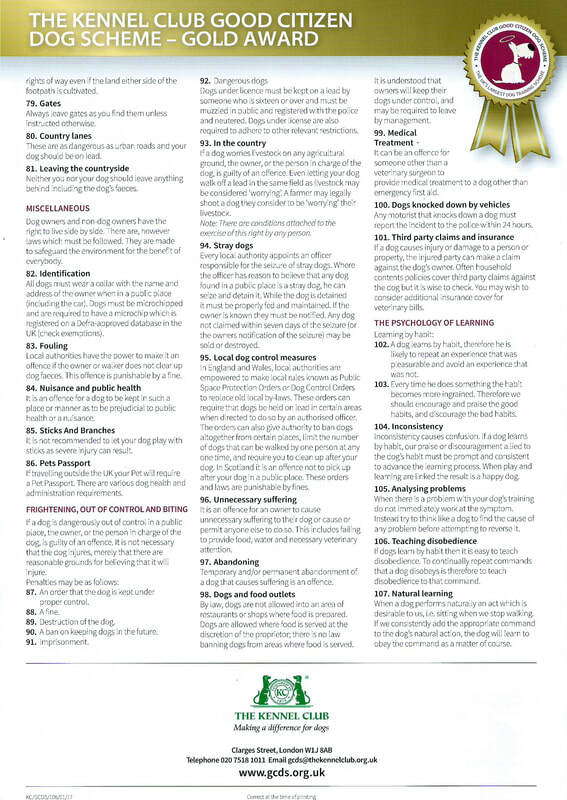 Silver and Gold courses will take longer. 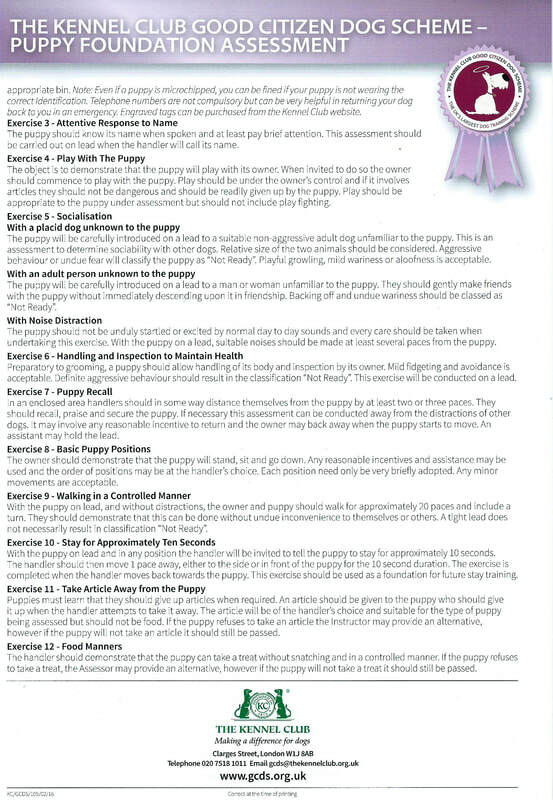 For Puppy Foundation courses, your training instructor will asses you and your puppy over a minimum 4 week period. 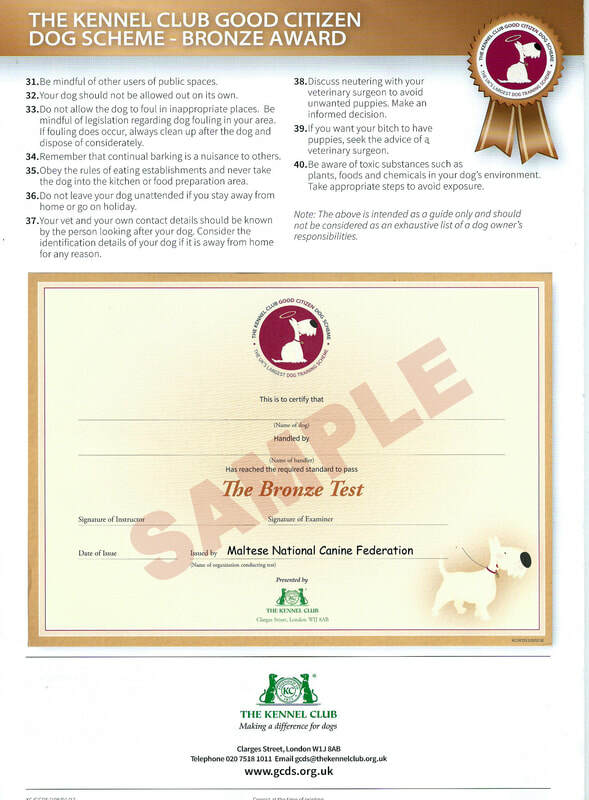 For Bronze, Silver and Gold levels, an independent scheme examiner will assess whether you and your dog meet the required standard. WHAT DO I GET IF WE PASS THE TEST? 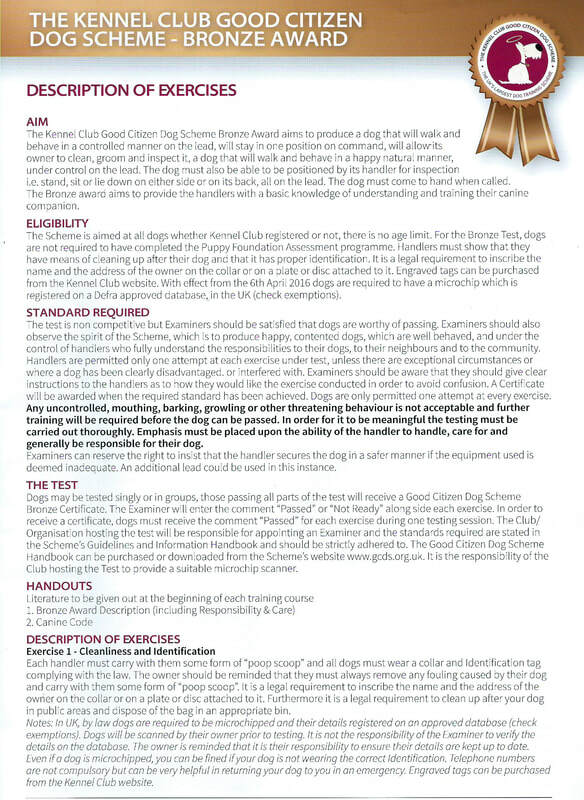 Each dog and handler is issued with a Kennel Club Good Citizen Dog Scheme certificate relevant to the level of course you have passed in and a rosette. 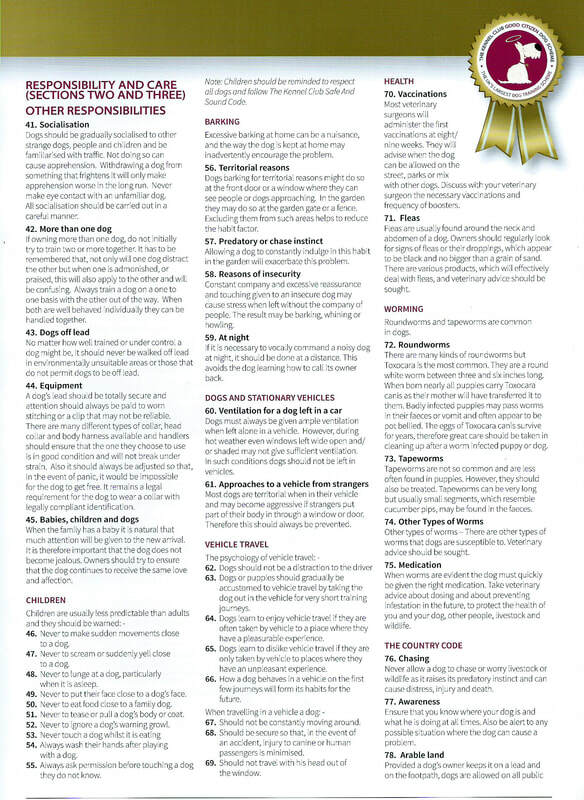 But most importantly, you get a dog which is fit to be a good citizen, much easier to handle and a joy to own, giving you many years of happy companionship.